A Houston teacher is now under probe for uncalled for comments he allegedly made on social media regarding the controversial “MAGA” hat theft incident that happened in San Antonio last week. The unsavory remarks were seen posted on a Twitter account that allegedly belongs to Channelview Independent School District teacher Jogi Pattisapu. One of the comments the teacher in question made references to “Nazis” and described the San Antonio teen wearing the MAGA hat and the other teens with him then as “s***cake kids.” The comment was posted on July 4. While Pattisapu’s account is on private mode, screenshot images of the comments he posted surfaced on Twitter and were quickly brought to the attention of the district. 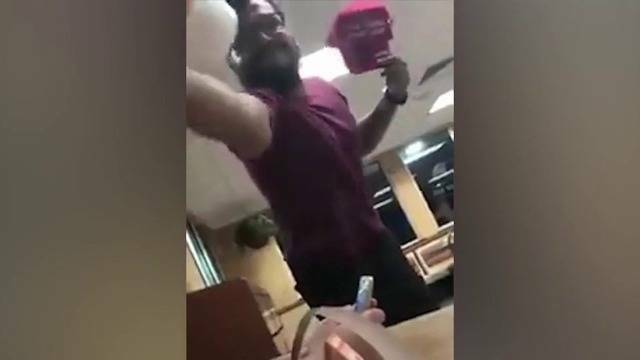 The comments allegedly made by the teacher came after the violent incident at a San Antonio Whataburger location on July 4 involving Kino Jimenez throwing a drink at a teenager simply for wearing a MAGA hat went viral. Police say the 30-year-old Jimenez asked the 16-year-old boy why he was wearing the MAGA hat and the teen replied that he was supporting President Donald Trump, his perfectly sovereign choice to do so for the duly-elected leader of the land. What happened after that was caught on camera. Jimenez allegedly threw soft drink at someone, snatched the hat and walked away while also saying profanities at the person. Jimenez was arrested a day after and charged with theft of a person, although there were those who felt he should have been charged with more offenses. Stop sending your kids to public school. He is one of thousands of teachers that think and speak this way to YOUR CHILDREN! Half of the Nation has gone mad! Should've been fired already. Obvious hate tolerance and denial on the Left. Despicable. Remember when Teachers were required to have and up hold certain public and Moral standards to be around kids and Teens?